Conflict and conservation became unlikely bedfellows in Afghanistan, finds Thomas McCarthy. Thomas McCarthy is Director of the Snow Leopard Program at the wild-cat conservation organization Panthera, headquartered in New York City. He was the first biologist to use satellite radio collars on snow leopards, and has helped to establish research and conservation projects on the species in China, India, Kyrgyzstan, Tajikistan and Pakistan. He edited the 2016 book Snow Leopards. Imagine a scientific field where success is at least partly measured by staying alive. This is conservation biology in the world’s many war zones, where researchers face despair over the accelerating extinction crisis, and the risk of stray bullets. It is, as pioneer Michael Soulé put it more than 30 years ago, a “mission-oriented crisis discipline”. Alex Dehgan weathered all this, and more, working in far-flung corners of Afghanistan, including the peaks of the Pamir Mountains — one of Earth’s most remote, inhospitable natural environments — on animals including the rare and elusive snow leopard (Panthera uncia). Over two years in the mid-2000s, Dehgan established the Wildlife Conservation Society (WCS) Afghanistan Program. It became one of the most successful conservation efforts to be set up in an active conflict zone. 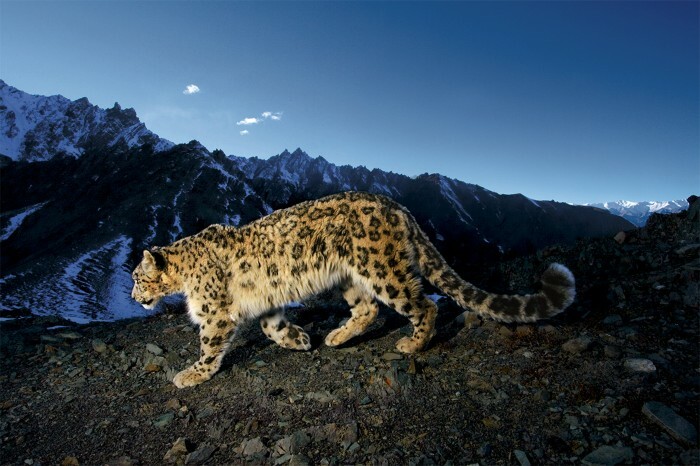 His new book, The Snow Leopard Project chronicles this story. In 2006, wildlife conservation in Afghanistan seemed almost a counter-intuitive undertaking, Dehgan notes. Three decades of war, along with insurgency by the Taliban and a nascent democratic government that was weak and decentralized, did not provide the most suitable underpinnings for a national conservation awakening. Even assessing the status of wildlife in the country, a prerequisite to any on-the-ground conservation, would have to happen amid more than half a million landmines, which litter even the most remote parts of the country. Yet Dehgan viewed this as a clean slate for reinventing conservation practices at a country-wide level. Afghanistan has for centuries been a “crossroads of human cultures and empires” and an important stop on the Silk Road. But, as Dehgan notes, it is an equally important crossroads for the fauna and flora of Asia, Europe and Africa. In what many in the West felt to be dusty, war-weary and desolate, he saw beauty, biological diversity and an opportunity to reverse environmental disruption from the country’s long litany of conflicts. As a conservationist leading field programmes in Asia, I gravitate towards books by others doing similar work. I’m often disappointed by dry accounts that omit the human stories. By contrast, Dehgan introduces nearly every actor in his saga with witty observations on demeanour and personality, not just professional credentials. Drawn deep into his story, we feel his burden when sending ‘his people’ into areas where safety concerns — from drowning in freezing rivers to falling from precipitous cliffs frequented by snow leopards — are compounded by the risk of being shot at, blown up or worse. Thus, this is less a book about research than about the trials, triumphs and occasional absurdity of building a conservation programme in extreme circumstances. More than once, Dehgan and his team find themselves staring down the barrel of an AK-47 rifle, trying in multiple languages to defuse a tense situation. The hazards of their fieldwork go far beyond the norm. Veering accidentally into a minefield means a painstaking reversal along their tyre tracks to safety. As they are returning from Tajikistan after a mission to push for an international peace park, loose tow cables send the team’s already questionable ferry careering downriver. Surveys for rare species along the border with Pakistan mean trekking along steep mountain paths too narrow for pack animals, while keeping one eye out for insurgents who could end the researchers’ lives on the spot. Political pitfalls are as abundant, such as when an Iranian diplomat mistakenly believes Dehgan is the conduit to renewed diplomatic relations with the United States. Ultimately, The Snow Leopard Project is a story of conservation success from a nation where good news is scant. Afghanistan’s first national park, Band-e-Amir, was created in 2009. At about the same time, the Wakhan Corridor — a sliver of land between Pakistan and Tajikistan known as the Roof of the World — saw a return of tourists drawn by the possibility of seeing the majestic Marco Polo sheep (Ovis ammon polii) that thrive there. In 2014, the wider Wakhan area became Afghanistan’s second national park. Larger than Yellowstone National Park in Wyoming, it encompasses nearly three-quarters of the country’s snow-leopard range. Elsewhere, species long thought locally extinct, such as the Kashmir musk deer (Moschus cupreus), were rediscovered in the Eastern Forests Complex, one of the last temperate coniferous forests in the greater Himalayas. Dehgan gives credit to his many Afghan colleagues, and the Afghan people, for their openness to the idea of conserving their unique natural heritage, and embracing it with the same determination that has kept them resilient in the face of conflict for centuries. There is a shadow side to these successes, Dehgan reveals. There was, for instance, the issue of how military forces, and even some humanitarian aid agencies, unwittingly participated in the illegal wildlife trade — for instance, by buying furs made from pelts of restricted animals, including snow leopards. The WCS’s public diplomacy campaign made a difference. The military and even Afghan shop owners embraced efforts to stop the loss of the country’s natural treasures, despite an impact on their livelihoods. The Snow Leopard Project is also a personal record. We learn of Dehgan’s journey to get closer to his Iranian roots, and his anguish over war’s senseless ravaging of nature and culture. But he is optimistic, too, about the country, its people and its wildlife. After his departure, the WCS Afghanistan Program continued its field-oriented mission, helping to establish a third national park in 2017. In the same year, nearly 200,000 people, mostly Afghan citizens, visited Band-e-Amir National Park.